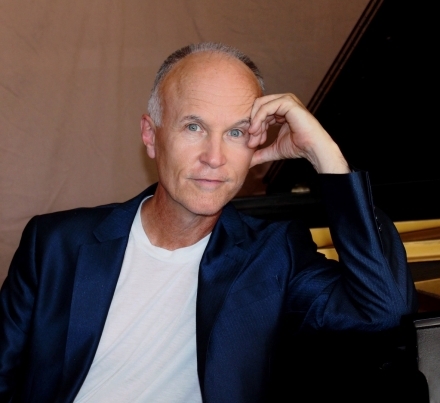 World-renowned pianist/composer Jim Chappell will be making his second concert appearance in Florence, OR on Thursday, March 28th at 7:00 PM in Kathy Parsons’ MainlyPiano House Concert series. We expect this concert to fill up, so be sure to reserve your seats early! Since the independent release of his breakthrough solo piano collection, Tender Ritual, in 1985, Jim Chappell has been acknowledged as one of contemporary music’s most engaging composers and performers. He will be releasing a new solo piano album this spring and this concert will be a mix of new music and old favorites. With more than twenty albums to his credit, Chappell has toured world-wide to sold out audiences. Several of his albums have received heavy national and international airplay on Smooth Jazz format radio stations, and his Over the Top (1993) reached #1 on the national charts. After a “long vacation” to stay at home with his daughter, it’s wonderful to have Jim Chappell and his music “back in action” and especially to have him come back to play in Florence! There is a suggested donation of $20 at the door. All donations go directly to the artist. Reservations are required by emailing Kathy Parsons at kathypiano@gmail.com. The address and directions will be given when reservations are made.